Earlier this week, a player going by the handle Ellie—no first or last name provided—departed Overwatch Contenders team Second Wind after facing harassment and doxxing threats surrounding their identity. This evening, rumors circulated that they may have been an impostor after all. Now their former team has confirmed as much. In a TwitLonger post, Second Wind’s management did not clear up the player’s real identity, but confirmed that Ellie definitely wasn’t who they had said they were. As for why Second Wind didn’t vet Ellie after discovering them on Overwatch’s competitive ladder, the team’s management admitted that they “desperately needed to find a substitute” after losing players, didn’t come across anything that immediately aroused suspicion, and wanted to respect Ellie’s privacy. “We genuinely had no idea of what was to come, and at the time we underestimated how important it would be to set an example as the first team to take on a female player for Contenders,” Second Wind wrote. Aspen was unable to offer full details on why Punisher did it, who provided Ellie’s voice in streams, or how he managed to pull it all off, but she painted the whole thing as a “social experiment gone wrong” that ultimately revealed how difficult it is to be a woman in competitive gaming spaces. As of now, Ellie’s true identity is still not fully known. Aspen, Punisher, and the Ellie account have not responded to Kotaku’s requests for comment. 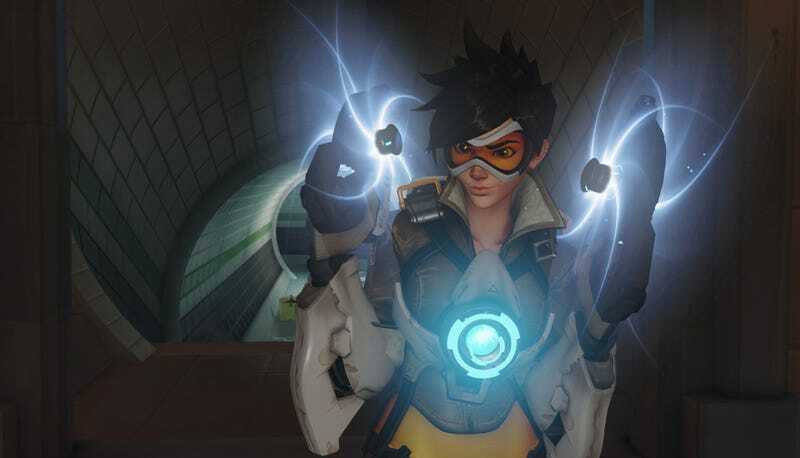 These new revelations have puzzled and enraged the competitive Overwatch community, who fear that this whole fiasco will serve as yet another unfair hurdle for prospective women players to clear while dragging themselves up the daunting mountain that is esports. “After investigating the matter, we found that ‘Ellie’ was a fabricated identity and is a smurf account–created by a veteran player to obfuscate their identity. The owner of Ellie’s account is a player with no current or prior involvement with any Overwatch Contenders or Overwatch League team. ‘Ellie’ was never formally submitted to the active roster of Second Wind and never played in a Contenders match.